It was a particularly trying day for Frontline Specialist Enrique Balderas. He was working alongside Lindsay Buchhop and struggling to juggle customers with a growing stack of paperwork. Needless to say… it was a bit hectic. They called in Brynn Fischer for back up, which helped quell the storm for a while (Thanks Brynn!) But later that afternoon, Lindsay had to leave to assist on another project, Brynn had to return to her other work, and Enrique was left alone. 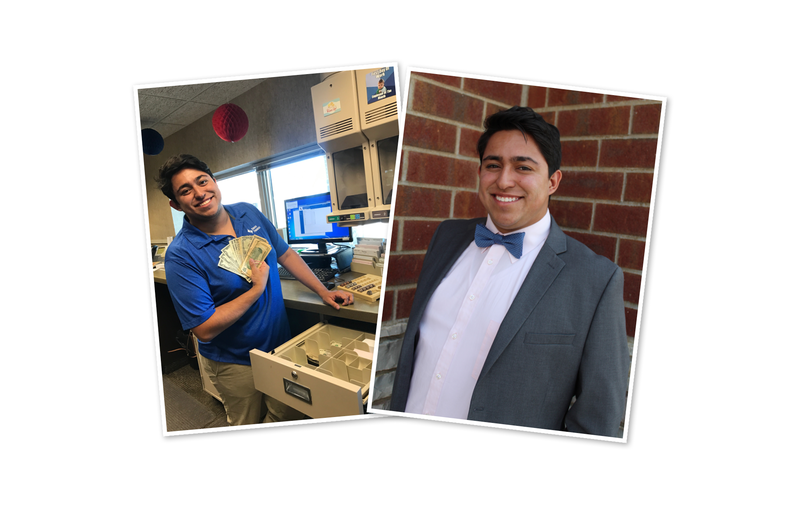 Here’s Enrique, preparing the cash order (left) and in his favorite Choice work attire — a full suit (right). (Just kidding). As more customers began to approach the counter, another client came in with a Bank of North Dakota order. This order took a bit more time and preparation, and Enrique had to leave the counter and head to the back to make sure it was ready — all the while fretting about the customers who were waiting. Enter Benjamin “BJ” Lochow, a Transaction Services Specialist who works upstairs. BJ came downstairs to drop off some statements and right away noticed that Enrique needed help. 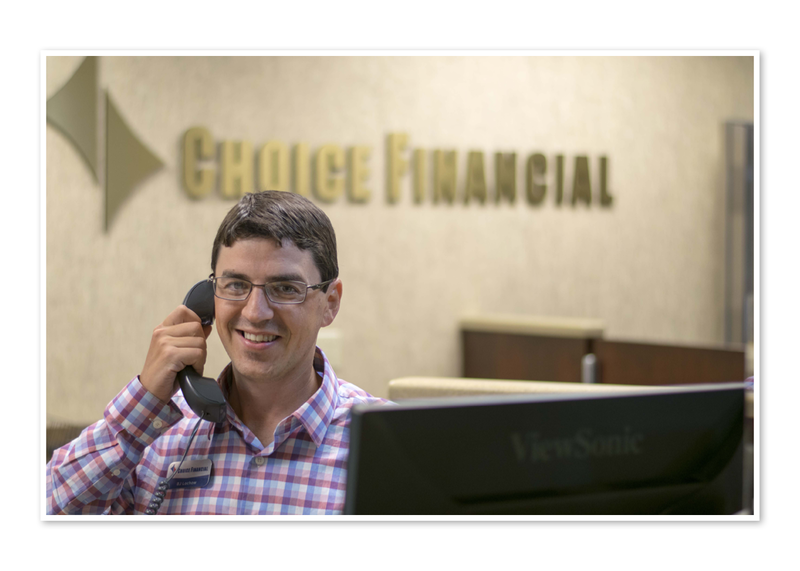 BJ said he thought of the Choice core value, “Know when to ask for help and know when to offer help.” He knew the transactions services department where he worked was well covered. “I thought, ‘this is probably a good time to step in and help’,” he said. Without missing a beat, he stepped behind the counter. “How can I help you?” he asked the next customer. BJ normally works upstairs at his desk job (left). But when he saw the frontline in need, he jumped into action (right). Thanks BJ! 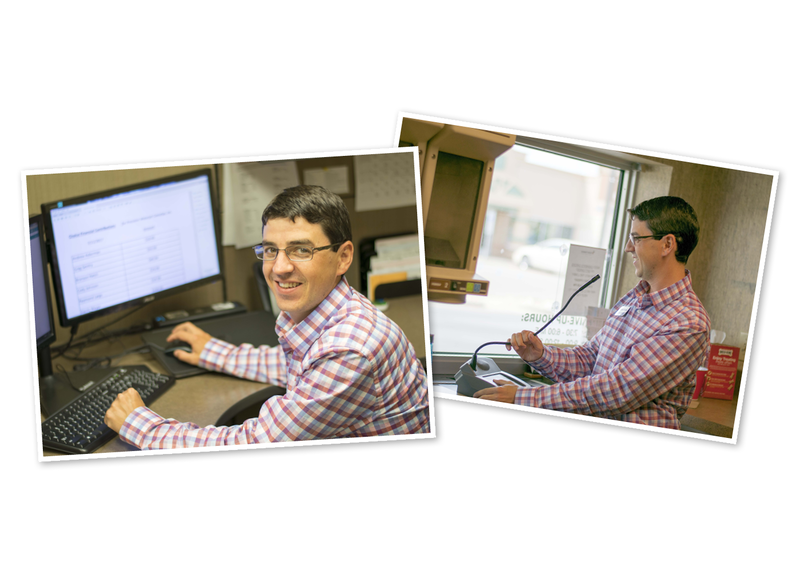 BJ started out his banking career as a frontline specialist, but it had been years since he was behind the counter. But getting back into the rhythm of helping customers came back to him naturally. “I just took it upon myself to start writing up the tickets for deposits and running them through Enrique’s teller station with his permission,” he said. Enrique, breathing a sigh of a relief, finished up the BND order and was able to jump back in with one less thing on his plate. “BJ, what you did was way far beyond the call of duty and I truly appreciated the help,” he said. BJ nodded and smiled, happy to help out the Choice family.